The new class of the Christopher Kelley Leadership Development Program was congratulated and welcomed by the CKLDP Executive Committee. AIA DC 2014 President Sean Nohelty, AIA, LEED AP outlined the chapter’s expectations to the eager and excited class; and explained that leadership is a multi-faceted facility. His message concluded with a statement of empowerment, encouraging the new class of the Christopher Kelley Leadership Development Program to truly embrace the opportunities in the year ahead of them. 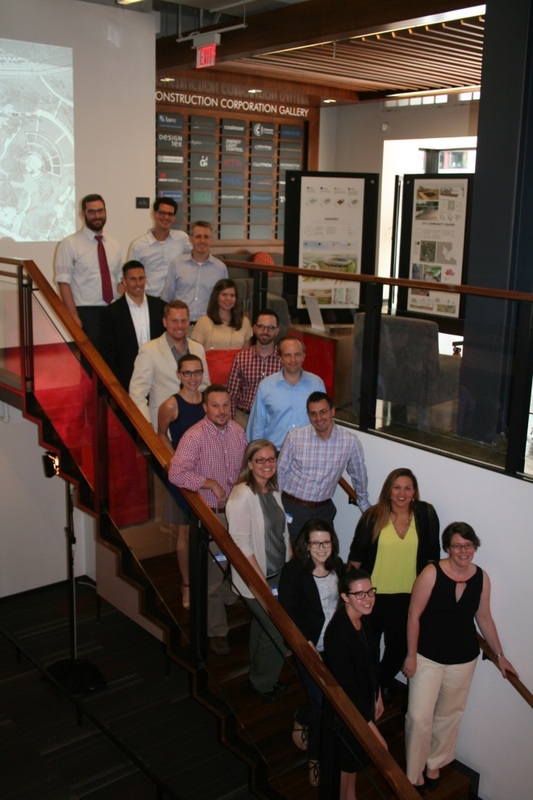 Following some opening remarks about the late Christopher Kelley, friend and colleague of Committee Co-Chair Sean Stadler, AIA, LEED AP, Sean reiterated to the class the purpose of the program and the great honor to Christopher their commitment provides. 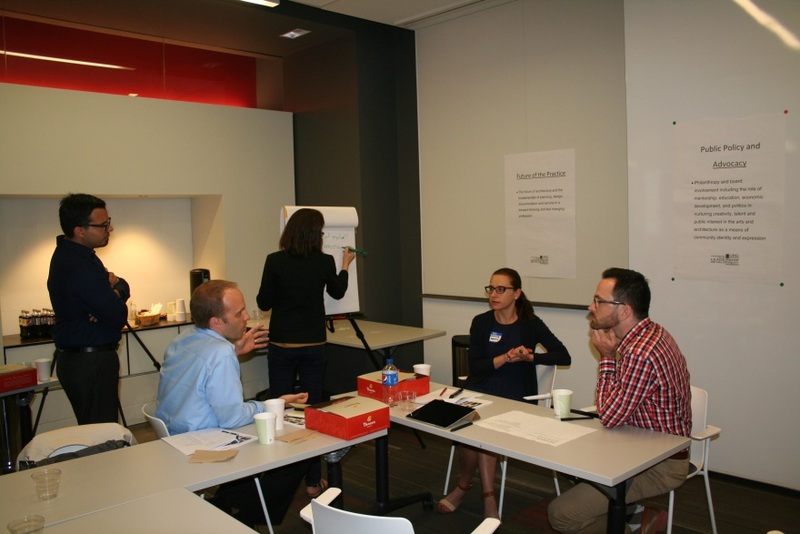 Sean explained, ‘Whatever your expectations are (for the program), you can create it.’ Co-Chair Ryan McEnroe, AIA, ASLA, LEED AP explained the program structure and expectations, and showed the class the recently completed yearbook documentation from the Inaugural 2013 class. To break up the day’s planned lectures, the next portion of the session was dedicated to a ‘get-to-know-you’ style Pecha Kucha. The format, which keeps presentations concise and fast-paced, allows for multiple speakers to present multiple presentations in a consistent and fast-paced event. 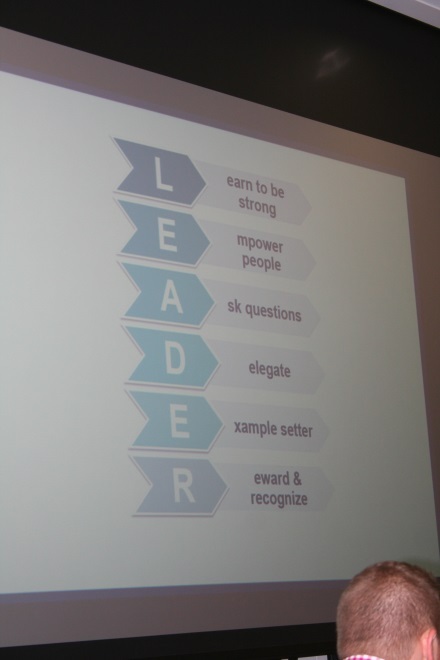 The sixteen new class participants each had 90 seconds to present three slides describing themselves, the type of leader that they are, and the type of leader that they’d like to be. Combined with graphics, word clouds, and personal stories and photographs, it was certainly an impressive group of young professionals! After the excitement of the Pecha Kucha, scholars were broken into teams of four to brainstorm the content that they’d like to see covered in the upcoming eight session topics. Regrouping to present their ideas, the class actively started outlining the session content for the upcoming year. Teams were identified for each session and assignments were given for each of the session pairs. Before wrapping up the day with a happy hour at Poste, CKLDP scholars were treated to a presentation by Gensler’s Jordan Goldstein, AIA LEED AP. Jordan commented on the reality that architecture is a very fast moving and fast changing profession. He talked about role of the architect as a generalist and as an enabler, rather than the traditional role of the soloist or the solution provider. 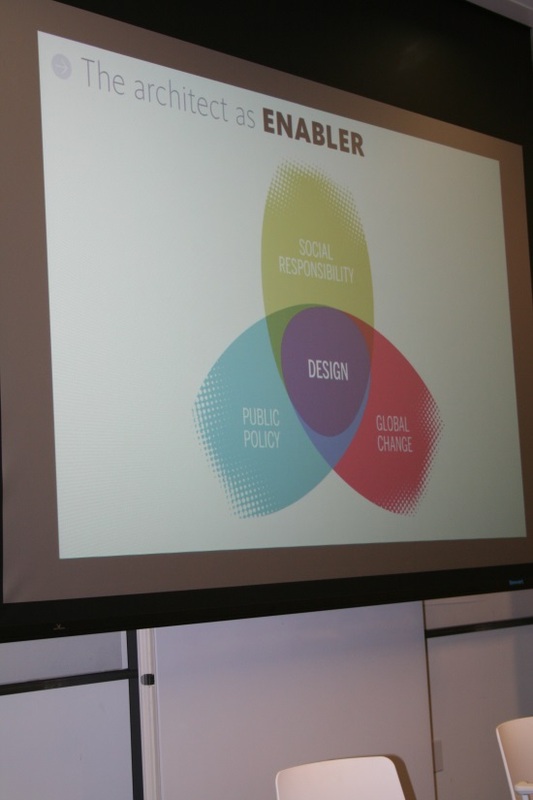 Jordan’s vision of design contains an equal balance of global change, public policy, and social responsibility. Mr. Goldstein expressed a great need for architects to identify our differentiators, and to start thinking about repositioning the profession. Like Roy, Jordan focused on change and explained that architects lead by being the catalyst for positive change. He emphasized that ‘change can happen on any scale’, a statement most appropriate for the diverse representation participating in this year’s class. It will be a good one!